Termite detection is often difficult, so we recommend getting professionals from Brantley Termite & Pest Control to investigate if you think your home or business has this type of infestation. Since termites have a natural inclination to remain hidden, fumigation is often the chosen course of treatment. The building is prepared – all possessions are removed and a tent crafted from heavy-duty tarps is placed on the building. The gas is released and the termites are exterminated. The tent is removed, and the occupants return home. Pest fumigation is not harmful to either the environment or the inhabitants of the home. Once the tent has been removed from the home, the remaining fumes dissipate into the atmosphere. 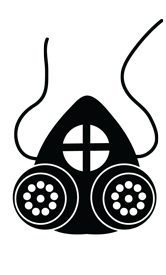 However, the gas is not known to have a negative effect on the ozone layer, nor does it leave any residue within the home. Pest Fumigation is a highly specialized process that requires superior knowledge and training. Our specialists have gone through the training needed and are ready to help. 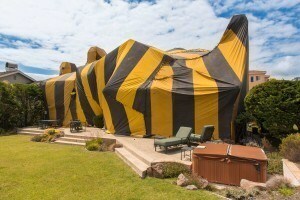 Protect what you’ve worked so hard to obtain with termite fumigation services from Brantley Termite & Pest Control! As an industry leader, our company is in a position to provide fast relief from termite infestation through highly effective tent fumigation services. Yes, we know just how hard it is to identify a termite problem, which is why our staff has trained and studied until they are the best at what they do in all of Florida. We have confidence in our employees so we offer a guarantee of satisfaction for each job, or we’ll come back again! In order to make it easier for our pest removal company to identify the best course of action, a thorough inspection of your home or facility takes place. We identify the termite species as well as the possible extent of the problem. Before we can get to work, the building must be properly prepared. This task involves removing nearly everything in the home or business for the next full day and up to three days to avoid contamination. Our staff places oversized tarps over the exterior of the home, covering it in its entirety. Next, Vikane gas is pumped into the home for the purpose of killing the termites. The tarps (tents) are used to help the Vikane to penetrate deeply into the wooden areas of the building where termites are congregating. Our certified specialist is responsible for breaking the seal on the gas to release it. The tarps remain on until our employees determine that the termites have been exterminated. At this point, the airtight seal is broken by our certified specialist and the tarps are removed. At this point you will receive notice that it is time to return to your building.